College groups diversify offerings with OWL, social justice, and programs for older students. As Unitarian Universalist college students head back to school this fall, they don’t have to leave all their church connections behind. At least not at the more than 150 schools around the country with campus ministry programs. Increasingly, campus-based UU communities are reflecting the growing diversity of students on college campuses, and they are offering a new menu of programs, such as Our Whole Lives (OWL) sexuality education classes and social justice opportunities. College is a time when many students begin exploring their own philosophies and faiths. Parker explains how campus ministry groups can help guide students in that exploration process. “It’s a great place to say, ‘You have questions? We do too!’” she said. Campus ministry is outreach ministry fueled by constant growth, yet plagued by the constant departure of the most experienced members. Groups spring up, grow, and disappear often, said Parker, who describes it as a constant ebb and flow. Parker’s best guess is that around 150 campus ministry groups exist around the country. Since her arrival in the job about a year ago, Parker has begun compiling her own database, adding new schools each week, building networks among campus ministry leaders across the country. With Parker’s help, the UUA is rolling out brand new resources for campus ministry partners, including monthly webinars, a list serve for campus ministry leaders around the country, and guides for campus ministry associates. A new guide, called Being More Visible, Changing More Lives . was added this fall. For Parker, that means encouraging diversity and focusing on meeting the needs of each community. For example, at St. John’s College in Annapolis, Md., a small liberal arts college where most classes are based on small-group discussion, the UU campus ministry group did not want more of the same. Parker is working with them to find different types of outlets for their practice of UUism, focusing on hands-on social justice work. But at Wesleyan University in Middletown, Conn., a newly formed campus ministry group finds that small group discussion and journaling is just what they need. Only one semester old, they have five loyal members, and hope to branch out in the future, said Kayla Reiman, one of the group’s founders. Campus ministry isn’t all about youth and young adults. At New Mexico State University in Las Cruces, most of the campus ministry’s members attend one of the university’s community colleges, and they span a diverse age group. Mothers who have returned to school, adults seeking second degrees, and a number of young adults make up their group. In addition to weekly meetings, they come together for dinner and programming once a month at their local church. Sarah Heartsong, the campus ministry coordinator, said that the group is also involved in border justice issues, raising awareness not only on campus but also in the wider community. Many colleges have implemented diverse programming for their students. Dana Regan, director of Religious Education for Youth at the UU Church of Portland supports a number of campus groups in the Portland, Ore., area, and ministers to around 100 students in total. At Reed College, Lewis and Clark College, and Portland State University, campus ministry goes beyond weekly meetings. Students on all campuses are involved in interfaith activities and are in the process of organizing an OWL program for their campuses. They hope to run the class between their fall and spring semesters, and it will be open to students from any of the schools. Campus ministry isn’t necessarily about retaining UU youth. It also helps raise awareness about Unitarian Universalism. At the University of North Carolina at Chapel Hill, half of their campus ministry group, made up of 20 loyal members, was raised in another religion or had no religion at all before joining the UU group. At Earlham College in Richmond, Ind., the campus group was recently revived by a group of first-year students, most new to Unitarian Univeralism. They are involved in a large amount of community service and social justice, working with a local Habitat for Humanity group and raising awareness about the UUA’s Standing on the Side of Love campaign in their dining hall. Despite Parker’s description of an ebb and flow in campus ministry, most of these groups seem enthusiastic about their future prospects. None of them seems distressed about their leadership graduating; in fact, most groups cite finding time and money as their biggest difficulties, echoing problems common to most campus organizations. Still, campus ministry groups around the country remain committed to working in worship time and providing a spiritual home for their students. Encouraged by the commitment she has witnessed, Parker is excited for campus ministry to continue to expand. She looks forward to sending representatives to a National Campus Ministry Association annual conference in the near future, something that the UUA has never participated in before. On campuses, it’s all about keeping up the energy. Marion Hirsch, the campus ministry associate at UNC Chapel Hill, doesn’t see that as a problem. She describes a retreat that students participate in every year, where they go to the beach at 11:00 p.m. and sing songs together. “There’s something about that retreat that is powerful,” she said, describing the way the student’s voices join together to sing “Bohemian Rhapsody.” “It’s a magical thing.” This magic, she thinks, is enough to keep them going. 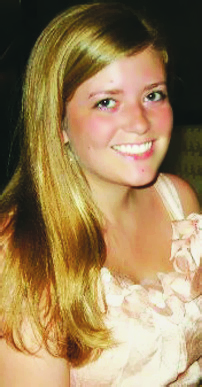 Julia Angley is a senior Writing Seminars major at Johns Hopkins University and a summer intern at UU World. She is the former business manager for the Unitarian Universalist Association (UUA) General Assembly Youth Caucus and a member of First Parish Church Unitarian Universalist in Duxbury, Massachusetts.